Ron, Chicki and I spent part of this morning in the park. Fortunately, the forecast heat had barely started. 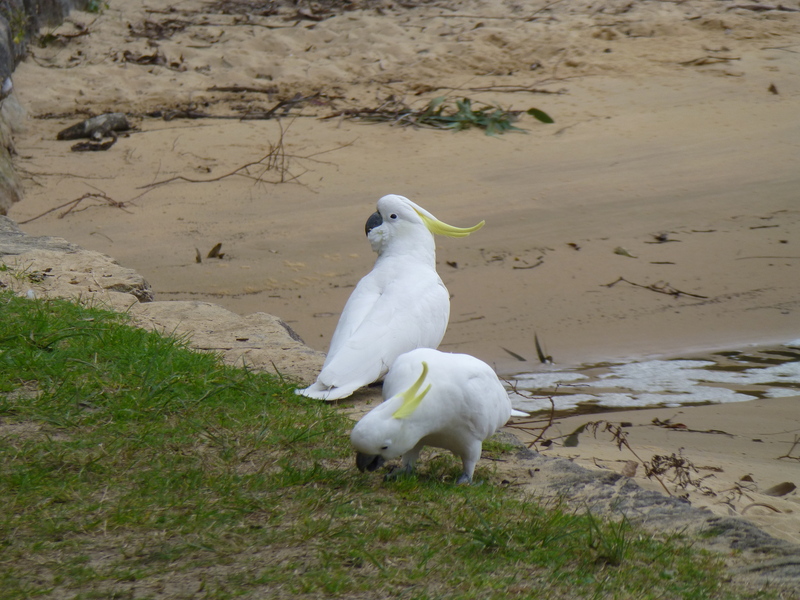 Perhaps the cockatoos had gotten wind of the prediction, though, for they were stoking up early with food and water. Are these the most engaging parrots in the Australian bush?